Annie Egan's first job as a nurse was caring for sick soldiers at Sydney's Quarantine Station. One hundred years ago this week, Annie Egan died on December 3, 1918. But the 27-year-old nurse was not killed by a bullet or bomb fired during World War I. She was killed by “history’s worst natural disaster” – the Spanish flu pandemic of 1918-1919. According to Michael Adams, an author and budding historian, Egan’s death at Sydney’s Quarantine Station ignited a national outcry about religious freedom. “When the story of Annie’s last days made the newspapers, there was immediate outrage. Not at her death but at the religious rites she had been denied,” explains Adams in the first episode of his Forgotten Australia podcast, which tells true tales of what it says in the title. A young Catholic woman who had graduated as a nurse only months before her death, Egan’s final moments of life came to involve Australia’s acting prime minister, William Watt. The federal government refused to allow Egan to have the “Last Rites” – sacraments of confession and communion for the dying. This incident of being able to exercise religious freedom whisked across a nation fearful of joining the world’s casualty list of Spanish Flu. Having started in the US in March 1918, by mid-year this vehement strain of pneumonic flu was “raging” across the world. Spread rapidly due to boats of soldiers criss-crossing the globe to fight in World War I, this flu was attributed to Spain because that nation did not censor news about the disease’s outbreak. While other fighting nations kept quiet about the flu, Spain declared it – and has been forever attached to it. “It’s the event that led to the largest and most rapid loss of human life in history,” describes Adams of the flu that infected about 500 million people during the next two years. Somewhere between 50 and 100 million people died; at the time, that was up to 6 per cent of the world’s population. Adams discovered Egan’s story when researching his book, Australia’s Sweetheart, about another forgotten Australian, actor Mary Maguire. Egan started training in 1915 as a nurse at St Vincent’s Hospital in Darlinghurst, Sydney. 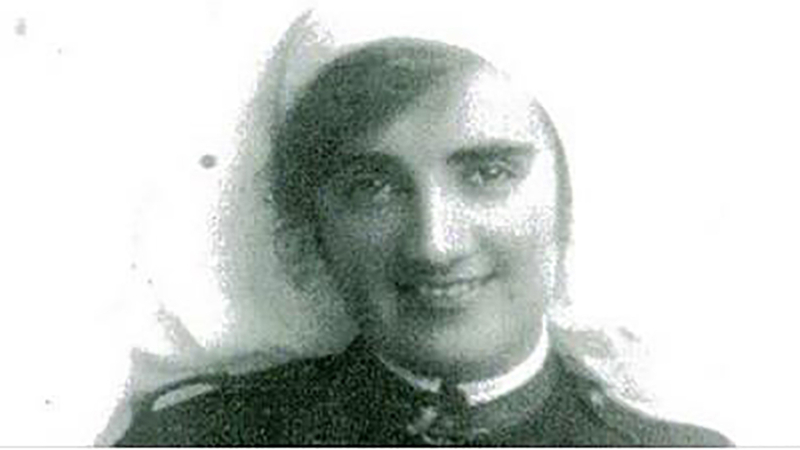 She passed her Nurse’s Exam in June 1918, and volunteered to become a military nurse. Her first assignment: caring for sick soldiers at the Quarantine Station on Sydney Harbour. Egan was on the front line against the arrival by boat of Spanish flu in Australia, the last populated continent in the world to become infected. “Annie knew the risks,” says Adams about a disease that struck quickly, showing initial symptoms of headache and back pain before high temperatures and light sensitivity. The first few days were critical, especially if it developed into bacterial pneumonia. As limbs darkened to black, patients could lose hearing, sight and smell. Insomnia set in. The nose and mouth bled; teeth and hair fell out. Death could come within days; people often drowned as blood and froth filled their lungs. “With their limited means, medicine and understanding of the flu, Annie Egan and other medical staff at the Quarantine Station did what they could for sufferers,” Adams outlines. But by November 26, 1918 – a little over one month since the first case of Spanish flu docked at Sydney Harbour on October 18 – Egan was infected. A priest from the nearby suburb of Manly volunteered to come. He also knew the risks. But the federal government refused his request on the grounds he could become infected. Egan pleaded for four days. No change. Before the afternoon of her death, she was allowed a phone call with the priest, who conducted mass. 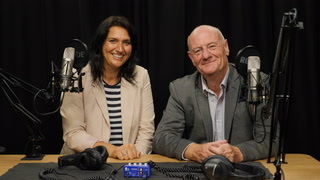 According to Adams, Australian Christian leaders from across denominations – and prominent atheists – swiftly spoke out about Egan’s treatment. Kelly sent a telegram of protest to acting prime minister William Watt but received no reply. So he went to the Quarantine Station and demanded admission so he could minister to the sick. Armed soldiers told him he would be arrested if he tried to force his way in. Kelly didn’t gain access but his “publicity stunt” worked, as Adams discovered. The federal government at last backed down. While World War I ended on November 11, 1918, the war against Spanish Flu continued. Eradicated by the end of 1919, Spanish Flu infected an estimated two million Australians and killed 15,000 – about one quarter of the number killed during World War I. Do you #prayforSomalia like you prayed for Las Vegas?